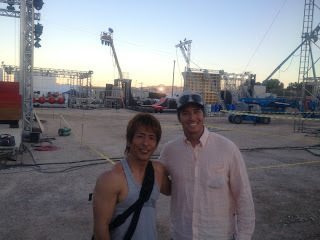 As I mentioned in the last post, the finals to the American Ninja Warrior 4 (ANW4) were completed in Las Vegas, Nevada. 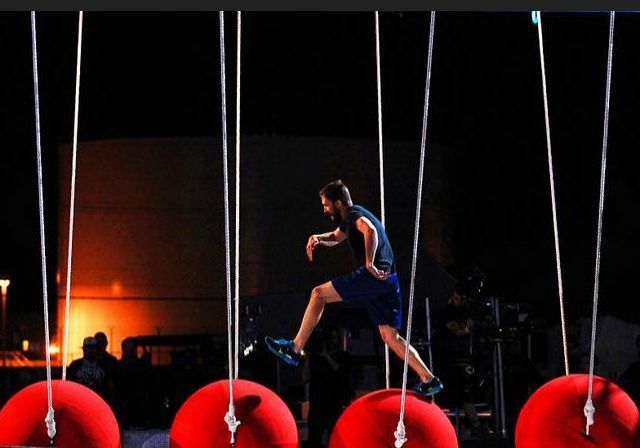 The final was comprised of the 90 competitors that survived a month-long regionals competition that took place in Los Angeles, Dallas and Miami. 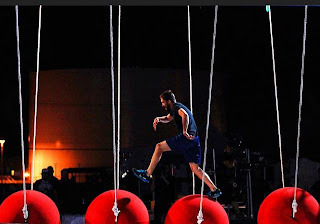 Joining them in the finals were 10 more wildcard spots that were awarded to round out the competition (mostly women, costumed people.. that sort of thing). 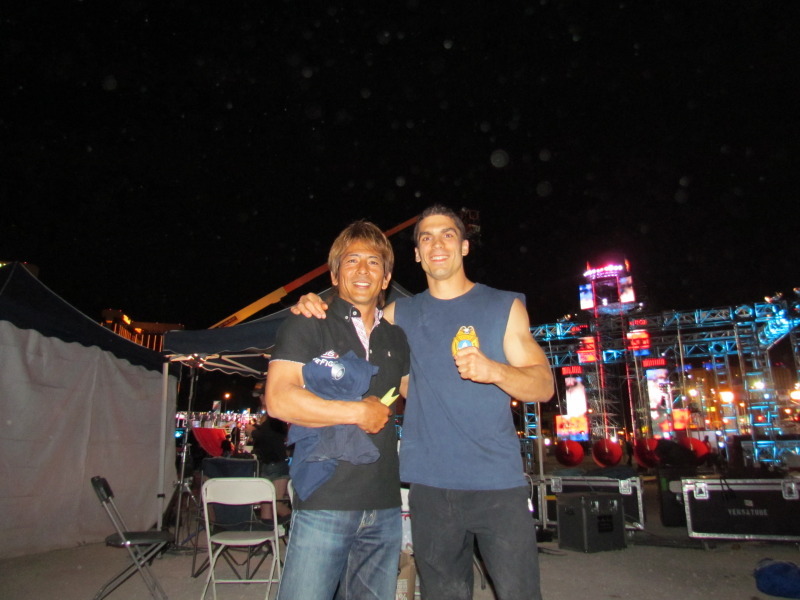 As a guest (not a competitor), All-Star Makoto Nagano 長野誠 watched from the sidelines of the ANW4 final. Flying in at the last moment, a week before the Maguro Festival in Japan (of which he is part of the organizing committee for the mock Sasuke course they hold every year at that event, Nagano was a welcome sight. Although he had minimal contact with the audience (unlike ANW2 where he even had a chance to sign autographs) it was still good to see him participate and be visible in the sidelines of ANW4. 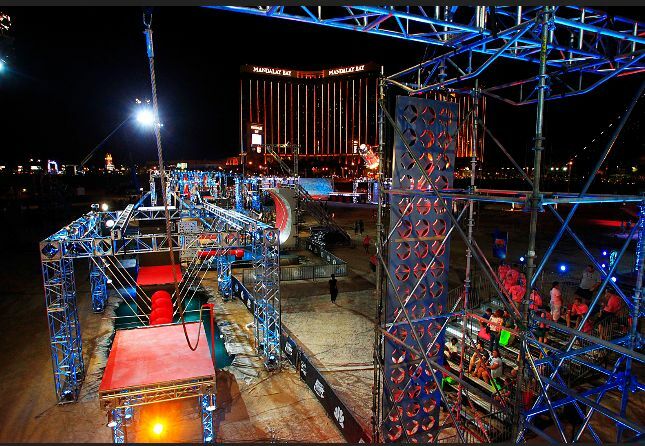 Standing in the shadow of the Mandalay resort on the Las Vegas strip, the towering 4 stage replica of Midoriyama's Sasuke 27 course was repainted into a red/black/blue (and a cubic boatload of arrows) and lit up as the entire competition took place at night-time. 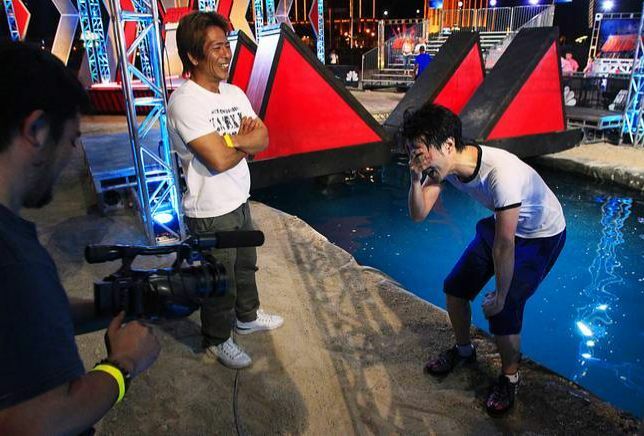 Sacrificing the authentic one day consecutive taping that Sasuke is famous for, ANW took a different approach by taping on 2 separate nights (breaking up the Stage 1 and Stage 2 events by a full 24 hours) to keep the entire event taped under lights. For most of the pics with fans it was obvious that a lot of hunting went on to find and be able to get access to Nagano. Some of the pics were taken at the hotel if they were lucky to find him while others were in the parking lot just before he got to the cordoned off areas. Still, I am happy people were able to see him.. but I am thoroughly disappointed at how limited his exposure was to the general audience. I just wish more planning took place in showcasing him. 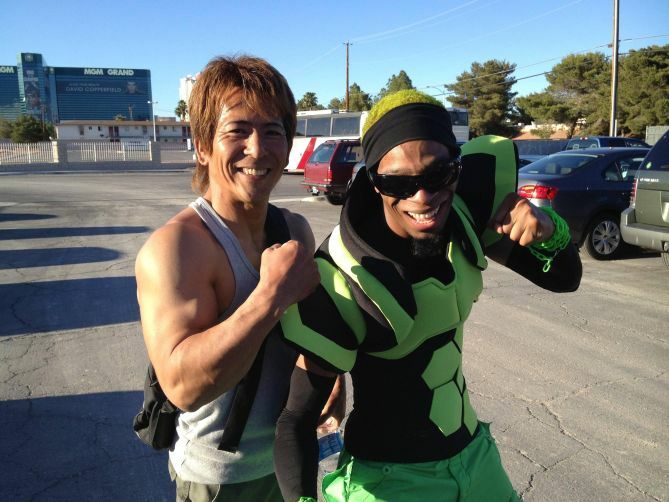 Then again, from all accounts, this was a very much last minute addition to ANW4. I guess I have to pick my battles. 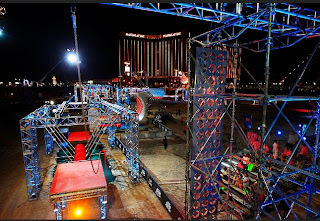 ANW4 premieres on 2 channels (Cable station G4 and Network station NBC) starting on May 20, 2012. The entire airing schedule is still listed on a previous blog. 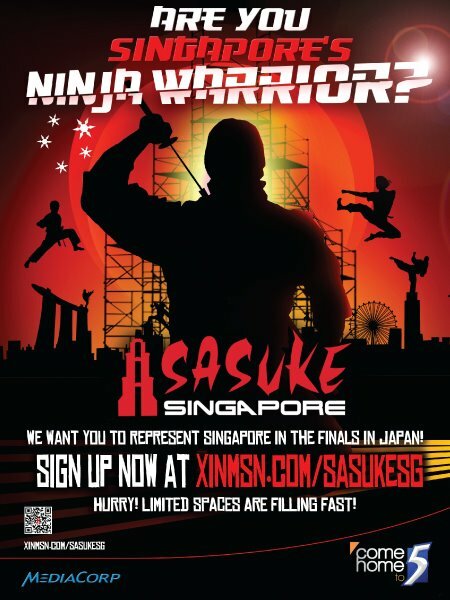 In awesome news.. Sasuke Singapore is gearing up for their inaugural season! As I mentioned before, Singapore is the latest country to have their own trials. Also worth noting that they are very much legitimate and the first country to confirm the existence of Sasuke 28! 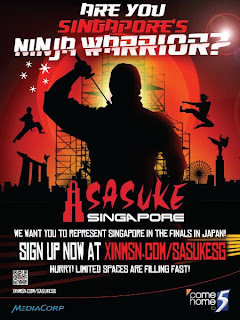 ANW4 took place in April, Sasuke Malaysia is taking place in May, 2012, Sasuke Singapore is taking place sometime in June, 2012 and they mention that Sasuke 28 will take place in Japan sometime during the Summer, 2012. 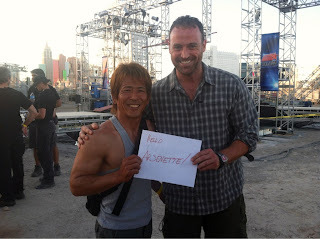 Finally, as I mentioned before, this weekend is the 2012 Maguro Festival. There's a small list of participants already lined up to fly to Kagoshima for this annual event but until I see pics of the event I can't verify exactly who will be there this year as part of the demonstrations. Check back next week as I hope to have photos of the event! Thanks for the information. I'm glad to see Sasuke showing so much life, even if its in a different form.